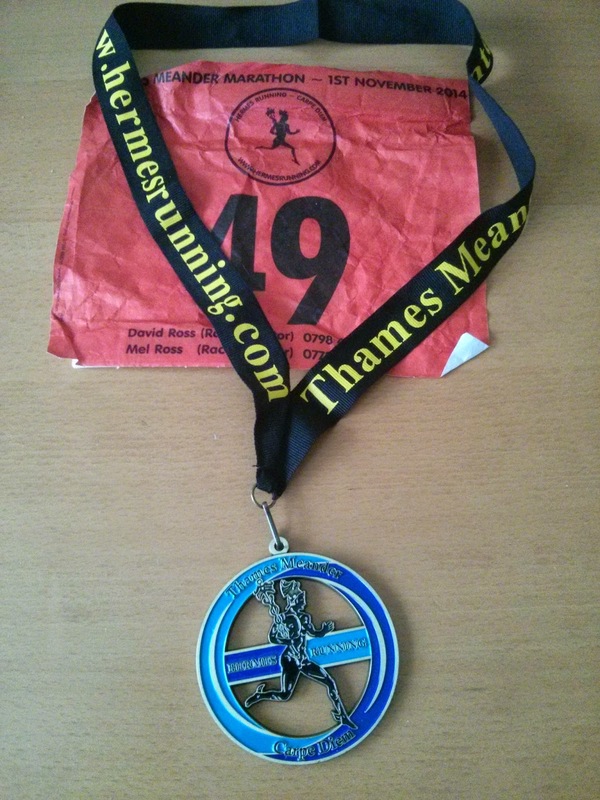 This was a very enjoyable run along the Thames from the YMCA Hawker centre. We started with a quick out-and-back down to Kingston, then a long out-and-back to Putney Bridge. On the way to Putney there was plenty of pedestrian dodging involved, especially with a boat race on and spectators and rowers all along the tow path! Great day, good weather and a good time (3:42:32 - my fourth fastest) for marathon #70.